Khloe Kardashian is a happy mother and has been sharing pictures of her first child with boyfriend Tristan Thompson, True Thompson on social media. 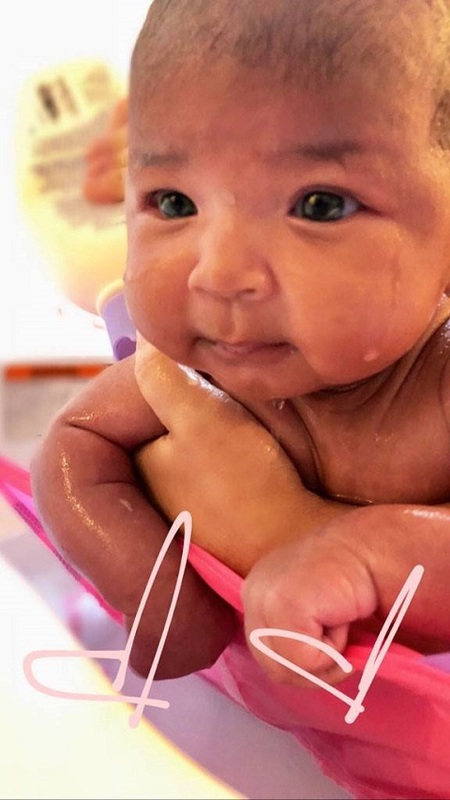 Recently, she uploaded an adorable photo of her baby girl during bath time. On Monday, the Keeping Up With The Kardashian Star, went on to an Instagram story to share a picture of her baby girl in a bathtub. True being an OG Kardashian smiled for the camera and looked lovely splashing around in the water. I cannot believe my girl is going to be two months old tomorrow," she tweeted. "Where is the time going but at the same time, every milestone I look forward to! I'm on alert every day to hear her first giggle. I cant wait for the giggles! While this is not the first headline, Koko has made this week. On the weekend, she and Tristan made an appearance as a couple at a friend’s birthday party in Cleveland. The appearance is one of the few times after Thompson’s cheating scandal. Khloe and Tristan were there together, they were sitting next to each other during dinner, and there was no animosity between them. Everybody looked happy, normal and like they were having a great time. Meanwhile, there are no reports about the pair plans about their future but mama Kris Jenner seems to support them.